Comment: Interesting in getting some bids on some concrete work at our new home. It's a new build and want to finish off the walkway from the front of the house to our back patio. Also, want to look at the possibility to expand our patio just a touch as well. Comment: Tear up sidewalk, patio slab and bricks- Lay new walk from driveway to new patio slab. Comment: Needing an approach driveway to backyard. 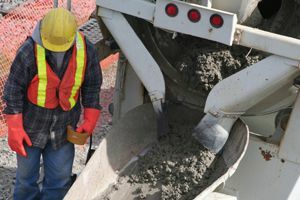 Wichita Concrete Contractors are rated 4.79 out of 5 based on 82 reviews of 18 pros. Not Looking for Concrete Contractors in Wichita, KS?